Do you suffer from joint pain, arthritis, back pain, headaches, asthma, allergies, or other recurring health issues? Ever wonder if...it's the weather? 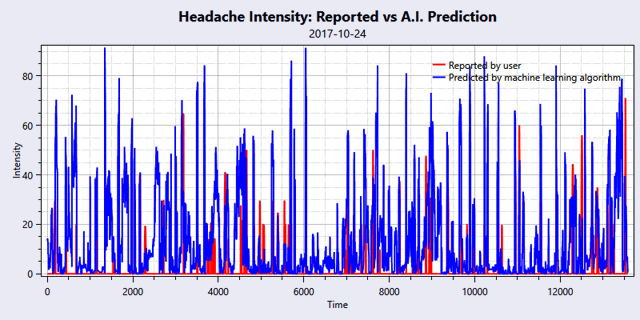 It's The Weather helps you by issuing personalized predictions based on your input correlated with weather data, pollution reports and allergen concentrations. Using state of the art machine learning, artificial intelligence, and advanced statistical technologies, It's The Weather harnesses thousands of data points from sources that include the National Oceanic and Atmospheric Administration, The National Weather Service, and the Environmental Protection Agency. 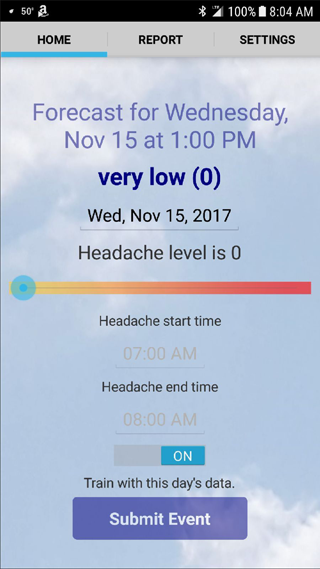 It associates this atmospheric data with your personal input based on events you can customize, and also allows the option to include biometric data points from your Fitbit, or heart rate data from your Apple Watch and other devices that provide heart rate data to Apple's Health app. It's The Weather generates graphs so you can easily visualize the growing accuracy of predictions. Your input is never shared and your privacy is always protected. If you've ever wondered if "it's the weather," the app is now available as a free download. Once sufficient data has been collected, It's The Weather can issue 4-8 hour predictions. Predictions appear at the top of the Home view. The predictive ability of It's The Weather improves with time. 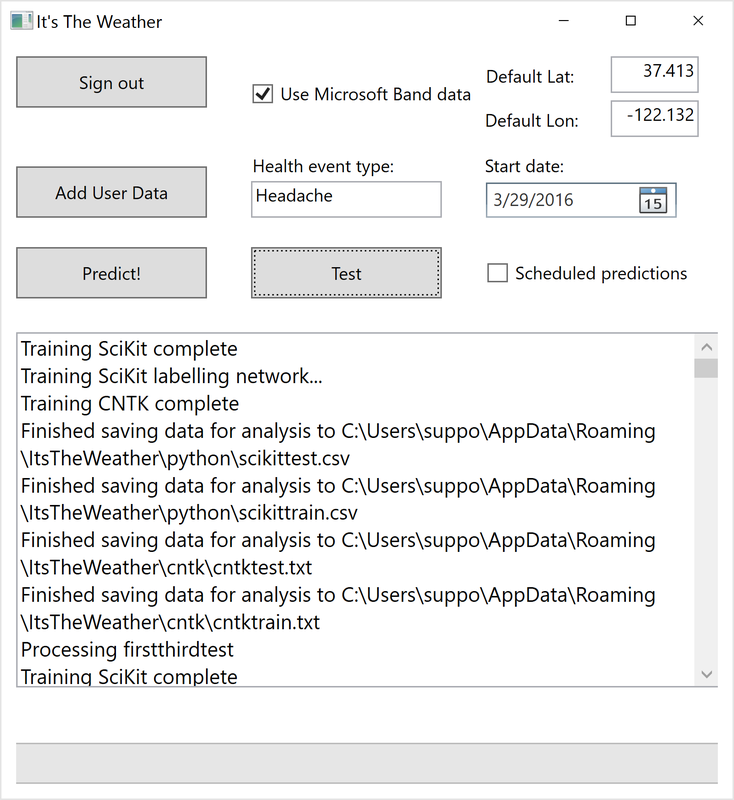 Specify the type of Health Event you would like It's The Weather to predict. Apple Watch, Microsoft Band and Fitbit users should select the appropriate item in the biometric options box. 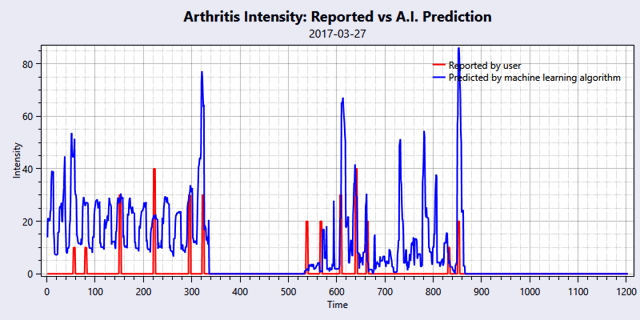 It's The Weather will then include biometric heart-rate data when making predictions. You will be prompted to login to Microsoft Health or Fitbit. If used, the more you wear your device, the better the results. The Apple Watch is recommended for best results. The default baseline is the value assumed at all times when health events are not reported. For most health events, this should be 0. A setting of 5 may be more appropriate when studying psychological conditions. It's The Weather can issue 5 hour forecasts (default) or predict intensity at the current time. Selecting current time can help you evaluate how well It's The Weather is able to correlate your health events with environmental conditions and biometric data. It's The Weather uses a Random Forest machine learning algorithm by default. It is more effective than a Tensorflow Neural Network for the first 180 days. 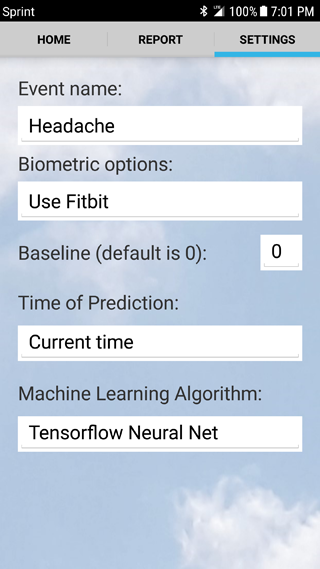 Beyond that, some users may find a Tensorflow Neural Network may be more effective. To submit data: specify a Health Event intensity, start time, and end time, then press Submit. Once sufficient data has been collected, It's The Weather can display predictions vs reported results. Data is divided into thirds. The machine learning module then trains on two thirds and tests repeatedly on the remaining third. 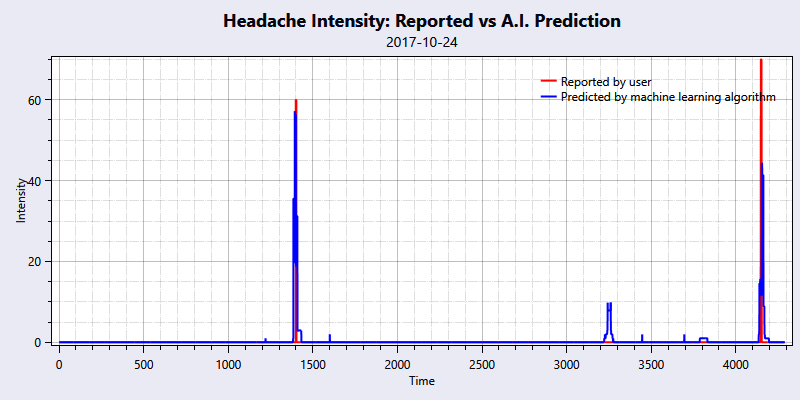 Results are displayed in a graph. I suffer from frequent headaches. For years, I’ve suspected they were caused by the weather or allergies. 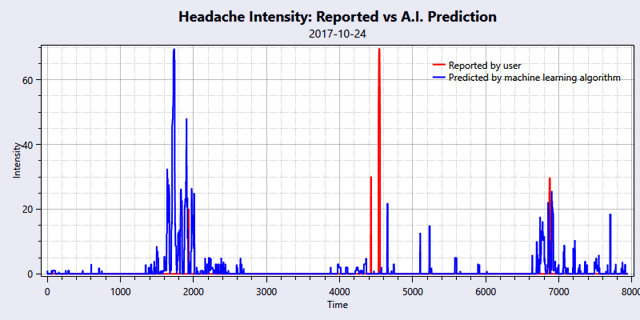 In early 2016, I decided to find out if I could train a neural network on environmental and biometric data to predict my headaches. I experimented with all sorts of input variables, neural network configurations, and alternative machine learning algorithms. It’s The Weather is the result of my efforts. I’ve been training my version of It’s The Weather since late March 2016 and it really works. 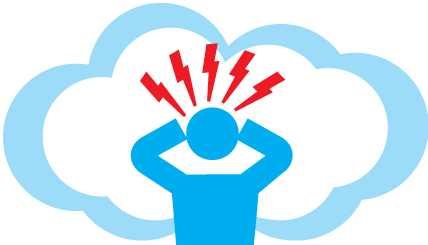 I’ve only tested It’s The Weather on headaches but you can use it for any chronic ailment: headaches, arthritis, insomnia, asthma, joint pain, depression, etc. Please try It’s The Weather and let me know how it works for you. Note: It's The Weather creates personalized predictions based on YOUR inputs and YOUR environmental conditions. Each user has his/her own, private machine learning algorithm trained only on their data. That’s why it takes about five events before It’s The Weather issues meaningful predictions. It's The Weather can help analyze the effects of environmental and biometric conditions on your clinical studies. 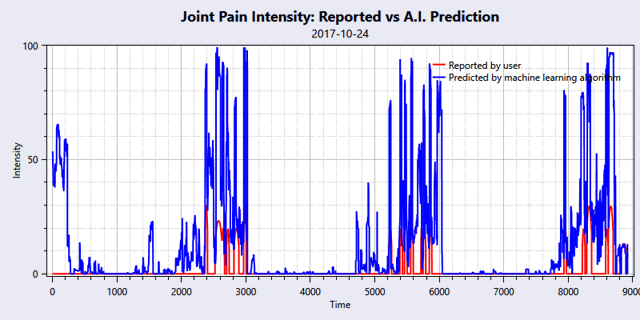 Statistical analysis of over one million hours of user data demonstrates It's The Weather effectively forecasts pain caused by arthritis, headaches and migraines. Now, you can incorporate our analytics into your clinical studies. It's The Weather can be used to help you explore the impact of environmental conditions on your clinical studies and ultimately on a treatment’s safety and efficacy. Our technology can determine if there are environmental conditions when drugs are most needed and effective on a per user basis or for an entire group of users. It's The Weather can retro-actively analyze data. Hence, we can analyze both ongoing and past clinical studies to help determine if a drug’s safety and efficacy can be improved by consideration of environmental conditions. 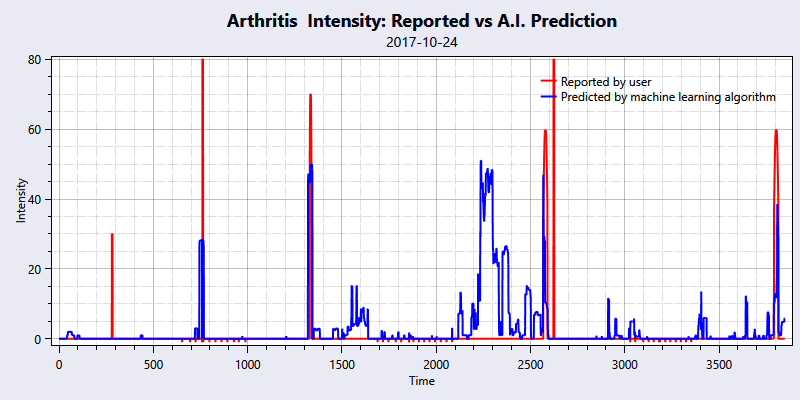 Machine learning algorithms to correlate environmental and biometric data with reported health events. 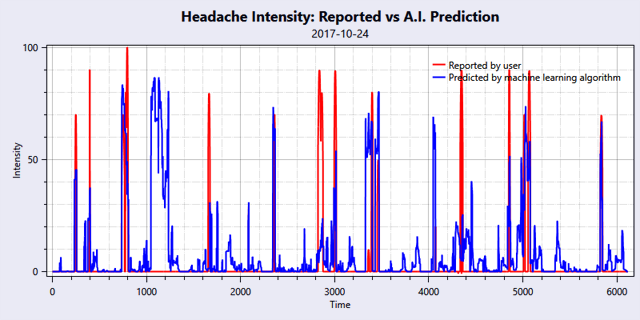 The free phone apps are used to specify an optional biometric source, submit health events by intensity and time frame, view 6-hour health event forecasts, and view an interactive graph depicting the ability of the trained algorithm to forecast events. The apps also monitor location and record significant location changes on a daily basis. A server side process aggregates the location, event submissions, environmental data and biometric data into a table containing hourly entries. Hourly environmental data for user locations is collected from multiple data sources. It is stored along with event submissions and biometric data from Apple Healthkit and Fitbit. Machine learning algorithms generate interactive graphical reports on a daily basis. Additionally, 6 hour forecasts are generated hourly. Forecasts are based on tabulated data, current weather and weather forecasts. The process checks data for completeness and makes a best effort to account for missing data. Once the data is ready, it is converted to high dimensional input vectors. 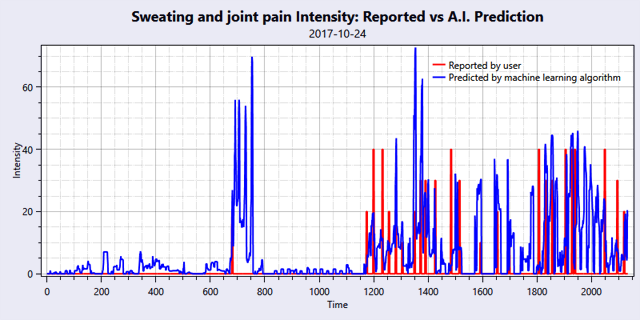 These vectors are used by the machine learning algorithm to generate reports and predictions The system generates Precision and Recall statistics for aggregate Arthritis, Join Pain, Headache, and Migraine data forecasts. Our tools can help you detect opportunities to increase the safety and efficacy of treatments by optimizing treatment regimens through the consideration of environmental conditions. Whether you are conducting clinical studies, or would like to study how environmental conditions affect business events (such as crop yield or retail sales), it’s easy to get started with It’s The Weather. In order to evaluate events, It’s The Weather server software requires location and event data. Your study can use our apps for iOS and Android to collect and submit subject data in real time. Alternatively, you can bypass the apps and submit data directly to the server. Location data precision should be 40 miles or less. Event data should include start and end times. Event intensities are optional but preferred. Hourly heart-rate data is optional. 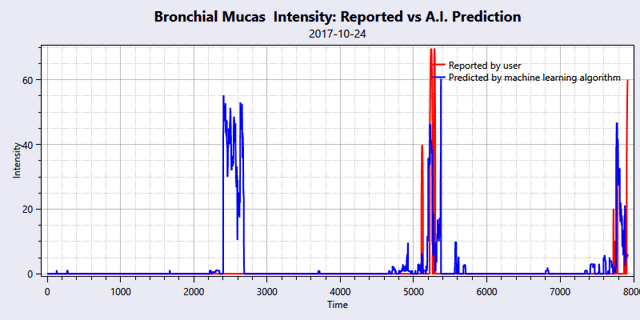 The server software tabulates hourly event, weather, pollution, pollen and optionally heart-rate data for the duration of the study. Stored in csv files, the tabulated data can easily be incorporated into your own statistical analysis. 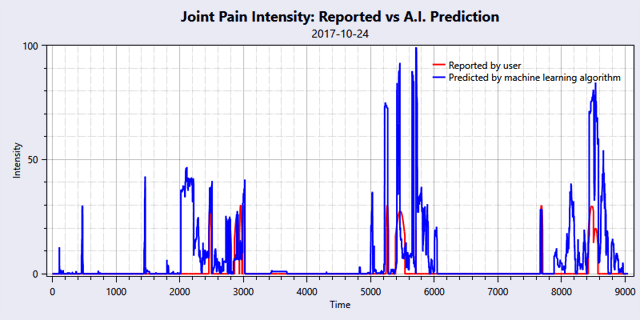 Using the data, our software determines how well different artificial intelligence algorithms can predict the events based on environmental conditions and optional biometric data. 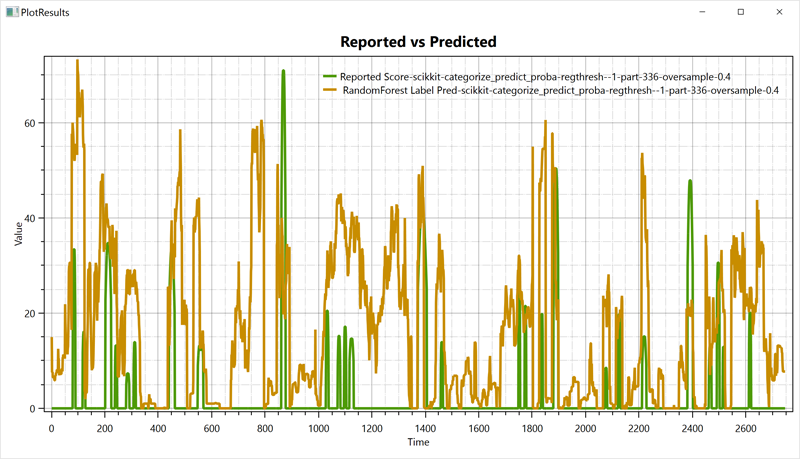 Results are presented in an interactive graphical form along with precision-recall values and other statistics. Finally, the server generates a custom forecasting model for each subject. It’s The Weather can host the server software for you. If you prefer, you can install the software on your own Windows server. Please don’t hesitate to contact us if you have questions or to get started now.